Two men have been charged after a shopkeeper was held at knife point during an armed robbery. It was around 10.30pm on Sunday March 31 when police were called to reports of a robbery at the Bargain Booze store in Preston Road, Standish. Michael Tither (08/12/1982) of Arcacia Crescent, Wigan and John Crossland (02/07/1975) of no fixed abode have been charged with robbery. Tither was also charged with possession of a bladed article. They were remanded in custody to appear at Wigan & Leigh Magistrates's Court this morning (Tuesday). 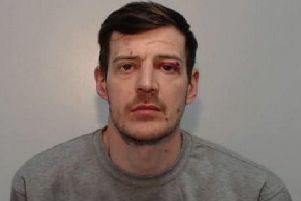 They have subsequently been remanded to custody to appear at Bolton Crown Court on Monday 29 April 2019.